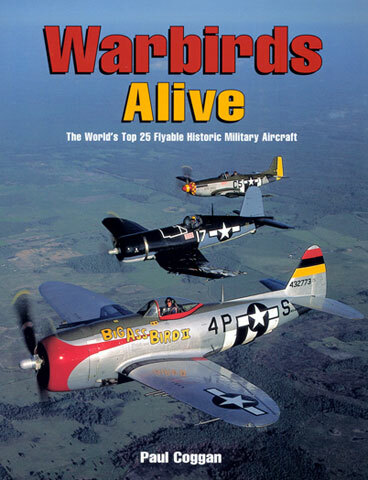 As the title suggests, this book covers the top 25 flyable historic military aircraft in the world today but it is more than that. 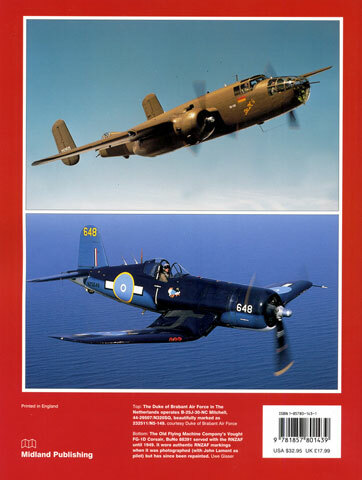 It not only gives you a complete and detailed coverage of the chosen aircraft, the 39 page introduction also gives you a background on how the interest in recovering, restoring and flying ex-military aircraft began and the industry that now supports it. The individual aircraft themselves are diverse and include both machines from the Allied and Axis forces of WWII as well as WW1 and between the wars ones of the RAF. Each aircraft is devoted its own chapter. Each chapter is between one and six pages with most having three. Some of the coverage is thumb-nail in type but the vast majority tells the whole story of the aircraft from when it first rolled out of the factory, through its service life and abandonment, and of its restoration. �span style="font-style: normal; font-variant: normal; font-weight: normal; font-size: 7.0pt; font-family: Times New Roman"> North American Mustang P-51C 42-103831 � N10204 "Ina The Macon Belle"
�span style="font-style: normal; font-variant: normal; font-weight: normal; font-size: 7.0pt; font-family: Times New Roman"> Boeing B-29A Superfortress 44-62070 � N529B "FIFI"
�span style="font-style: normal; font-variant: normal; font-weight: normal; font-size: 7.0pt; font-family: Times New Roman"> Consolidated B-24 Liberator 44-44052 � N224J "All American"
It is lavishly illustrated with both black and white and beautifully composed colour photographs. The photographic coverage is more that just the aircraft listed above as the introduction features a whole lot more. Seekers of cockpit and under-the-hatch photos will be delighted with the clarity of the photographs. The book is 208mm x 215mm in size and comprises of 128 glossy pages between thin cardboard covers. Thoroughly recommended for modellers seeking detail photos as well as anyone with an interest in historic aircraft.